Pabst Brewing Co. beer will once brew its own beer in Milwaukee*, WI, though it won’t be churning out Pabst Blue Ribbon or Schlitz like in the good old days. Instead, the company says it will open a microbrewery at the site of the historic brewery, complete with a tasting room and restaurant. The company will be setting up shop at a former brewing complex on the city’s west side, reports the Milwaukee Journal Sentinel. Pabst is planning to have the microbrewery up and running by summer 2016, according to Eugene Kashper, chairman and chief executive officer. The company will use the brewery to dabble in Pabst recipes for old brands that aren’t on the market anymore like Old Tankard Ale and Kloster Beer, as well as others that were brewed before Prohibition. New brands could also possibly come out of the microbrewery at some point, the company says. Milwaukeeans are sure to have some strong feelings about the return of Pabst to the town — to that end, in a speech announcing the new microbrewery, Mayor Tom Barrett likened it to the prodigal son returning to welcoming arms. The company was founded in 1844 with the launch of a brewery called Best and Co. The founder’s granddaughter later married Frederick Pabst, who took over the business in 1888 and changed its name to Pabst Brewing. Pabst was eventually sold to a California-based company called S&P Co. in a hostile takeover in 1985. S&P ended up closing the Milwaukee brewery in 1996, calling the plant unprofitable amid shrinking sales. As anyone familiar with hipsters knows, however, PBR has made a comeback in the intervening years and through various owners of the brand. In 2010, investor Dean Metropoulos bought Pabst for about $250 million and relocated the company to Los Angeles. It was then purchased by Blue Ribbon Intermediate Holdings, LLC, a partnership between Kashper and TSG Consumer partners, a private equity firm. 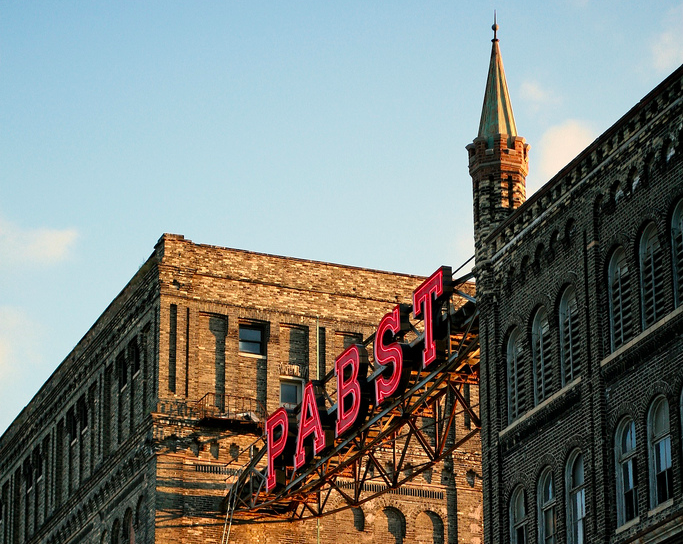 Some Pabst brands have continued to be brewed in the city, albeit at the MillerCoors facility. *Yes, yes, we know — Milwaukee is Algonquin for “The Good Land,” thank you, Wayne’s World fans.